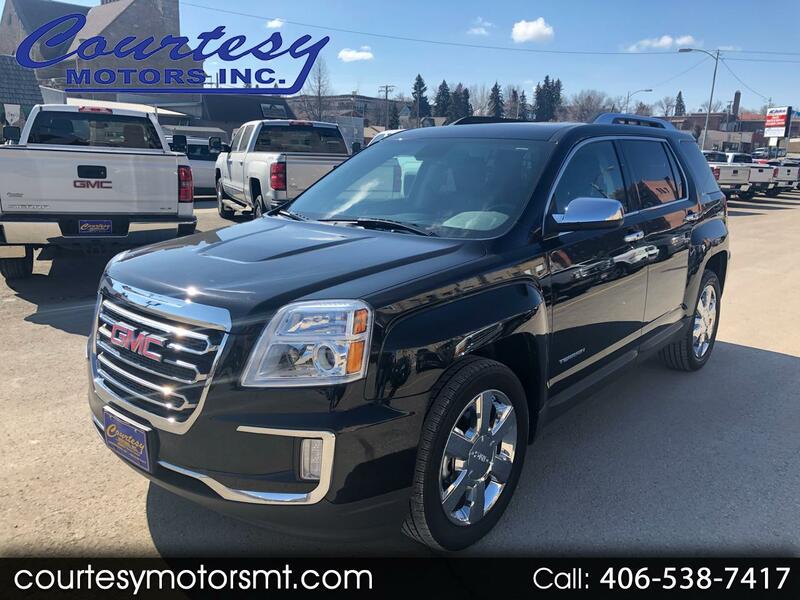 Used 2016 GMC Terrain SLT AWD for Sale in Lewistown MT 59457 Courtesy Motors Inc.
Clean, One Owner Car Fax on this 2016 GMC Terrain SLT AWD! Loaded with heated leather power seats, sunroof, Navigation, power liftgate, remote start, Bluetooth, On Star, XM Radio, and so much more! Hard to find 3.6L V6, don't miss out on this 2016 GMC Terrain SLT AWD!